Congress amended CERCLA in 1986 with the enactment of the SARA. These amendments improved the Superfund program and added an important section that focused on strengthening the rights of citizens and communities in the face of potential hazardous substance emergencies. This section, SARA Title III, or the EPCRA, was enacted in response to the more than 2000 deaths caused by the release of a toxic chemical in Bhopal, India. 1. Identify the sources of potential emergencies. 2. 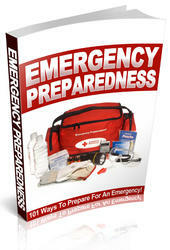 Develop procedures for responding to emergencies. 3. Designate who will coordinate the emergency response. EPCRA also requires facilities to notify the appropriate state and local authorities if releases of certain chemicals occur. Facilities must also compile specific information about hazardous chemicals they have on-site and the threats posed by those substances. Some of this information must be provided to state and local authorities. More specific data must be made available upon request from those authorities or from the general public.